We've combined some of the most spectacular itineraries that Tofino has to offer into one memorable experience—the Ultimate Adventure! The Ultimate Adventure offers a private, custom, VIP excursion for your family or group. 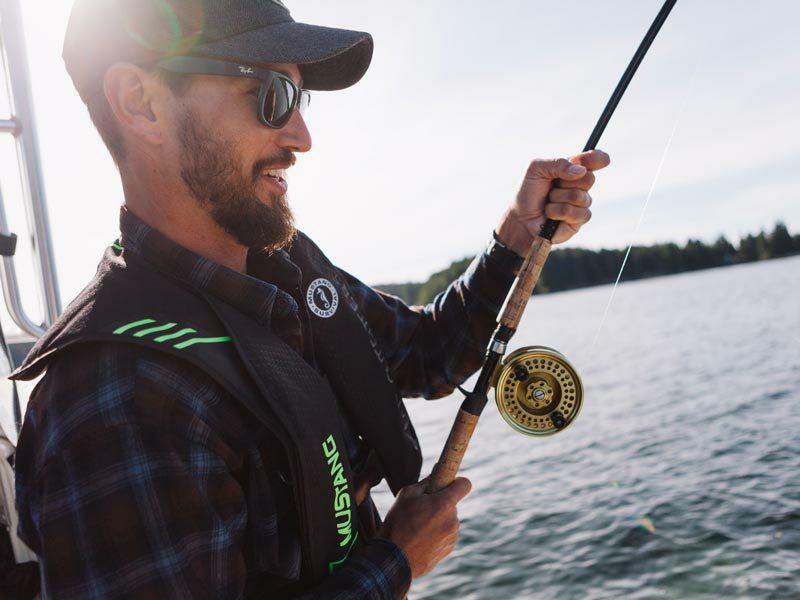 The Ultimate Adventure is where we craft your day as you wish—whether you want to fish, visit Hot Springs Cove, or find foraging black bears. We can combine fishing, wildlife, Hot Springs, scenic touring, and the freshest seafood feast you can imagine! You will have your own charming, and knowledgeable Captain (who is also a French trained chef!! ), and a private vessel fully equipped for delicious excursions. The Miss T Eyes comes with a BBQ and kitchenette. Itineraries are very flexible, but we suggest departing our docks in the early morning and enjoy a majestic journey along the inside passage to Hot Springs Cove Provincial Park. Hike along the wilderness boardwalk and marvel at ancient old growth forests and a remarkable array of flora and fauna along the way. Take your time and enjoy a relaxing soak in natural geothermal springs overlooking the breathtaking Pacific Ocean. Let the warm waters of the springs relax your soul and prepare you for the next adventure. We try to leave Hot Springs Cove long before other tour operators depart on their scheduled trips to ensure you have the most intimate and enjoyable experience possible! Head out to do some fishing for salmon, halibut, lingcod, or snapper. Tofino’s bountiful waters offer fantastic action for all skill levels. Haul in a catch of fresh fish to enjoy later that evening or enjoy a calm water BBQ. Crab and prawns are available seasonally if you want to make it a seafood feast to remember! If not fishing, you can add on a delicious, pre-packed lunch. After a morning full of adventures, set off on a wildlife safari for the duration of the afternoon. Grey and Humpback whales, sea lions, sea otters, and a multitude of other marine life offer spectacular viewing opportunities. Feel the mist of a whale’s breath, scout for elusive coastal wolves, marvel at the grace and beauty of a sea lion colony, and wave at rafts of friendly sea otters as they frolic over the seas. We can also build an itinerary around the low tide if you hope to watch local black bears foraging along the shoreline. Our guide is also an expert naturalist and we promise you'll enjoy one of the most memorable wildlife encounters of your life. Tell us what a dream Tofino Adventure looks like and we will help manifest it! *Bookings must be made at least 48hrs in advance.To make a booking for a time within the next 48hrs please call for availability. Activities Included: Early Bird Hot Springs Cove Tour, Wildlife Safari, and Fishing. It is important to remember that it is common to experience some swells at sea. If you are concerned about motion sickness- plan in advance to safe guard against any potential nausea by bringing your favourite brand of anti-nausea medication. Candied ginger and chewing gum can help. Please bring any food and beverages (no glass bottles please) you wish for. If you would like us to organize a lunch for you, we would be delighted. Simply call our office at 1-877-906-2326. Dress warm & comfortable for a day on the water. It can get quite cool. Your smile and a true west coast spirit for adventure!